GUYS...Christmas is literally 77 days away! If that doesn't give you a slight panic attack, then I don't know what will! I haven't even started shopping yet, have you? One of my favorite parts of Christmas is when my favorite companies start to bring out their HOLIDAY lines and kits. I love browsing the aisles at my favorite department stores, planning my Christmas list for family and friends. 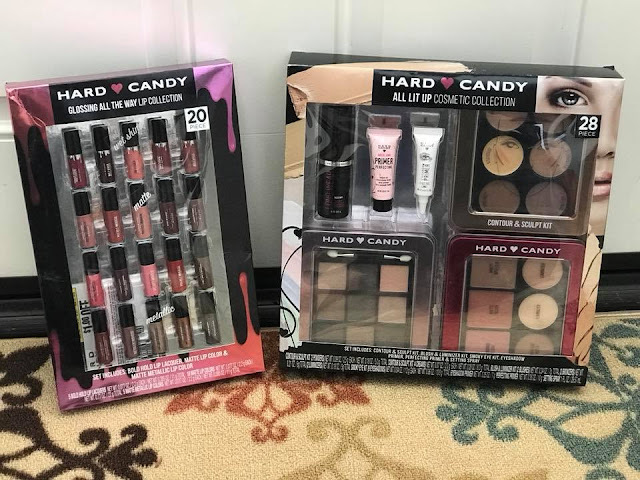 One of our favorites, a brand we have told you about a lot, carried exclusively at Walmart is "HARD CANDY" cosmetics, and their holiday kits are on the way out. 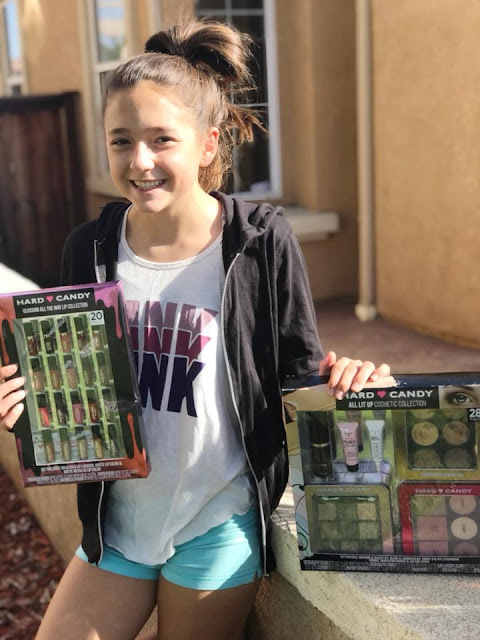 We received a couple of Hard Candy's HOLIDAY 2017 kits, that you need to be on the lookout for at Walmart, for your teens or even for yourself this Christmas. Not only are they a great deal, with all that is included...but their products really are fabulous too. 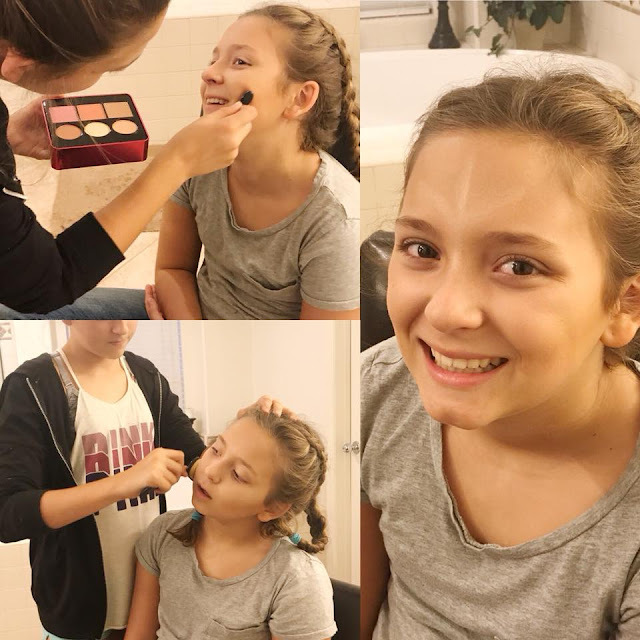 Moms and teens girls alike can enjoy & use their full range of products. 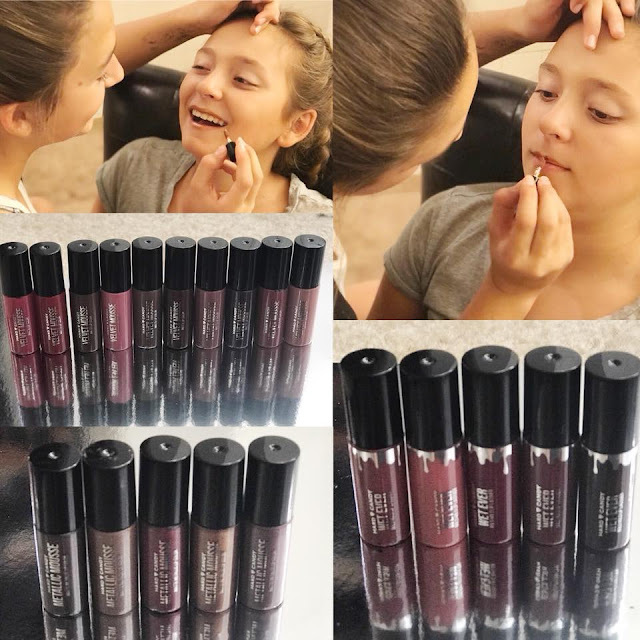 We received the "Glossing All The Way Up Collection" and the "All Lit Up Cosmetic Collection" to try out, which will be arriving at a Walmart near you really soon! There is SO MUCH STUFF in these collections and they really are inexpensive! LIKE TOTALLY PERFECT for stocking stuffers or gifts for your favorite tween/teen/or mommy friend. 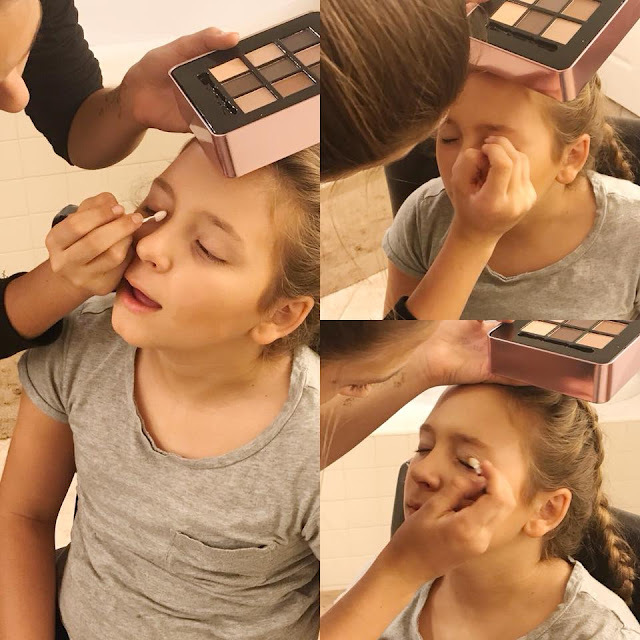 Since our oldest daughter is still learning makeup techniques for when she starts officially wearing makeup to high school next year... she was delighted to not only receive these sets to try out, but to have them for when she starts wearing makeup. Her sweet little sister (who's quite a trooper) volunteered to be her model tonight. 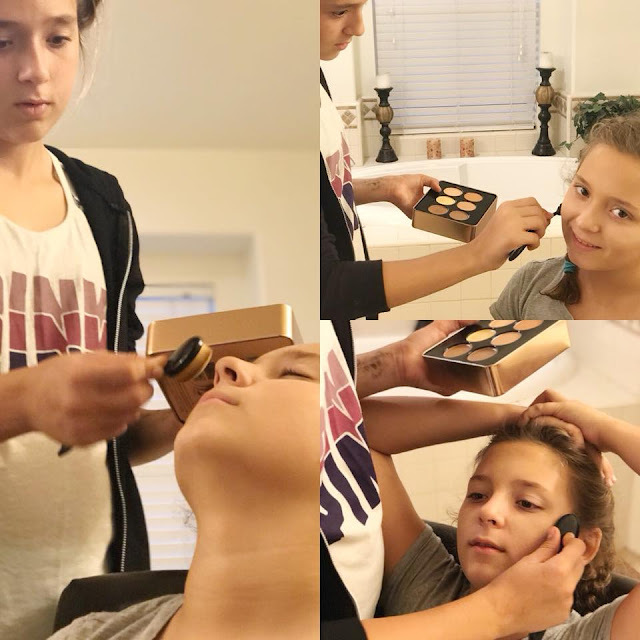 Watching these two giggle and bond, as she proceeded to give her a makeup makeover with these two Hard Candy Makeup Holiday Collections, made this mommy's heart happy. If for nothing else, getting these kits to try out & to see the two of them enjoying each other's company was WORTH IT. She started with the ALL LIT UP COSMETIC KIT! 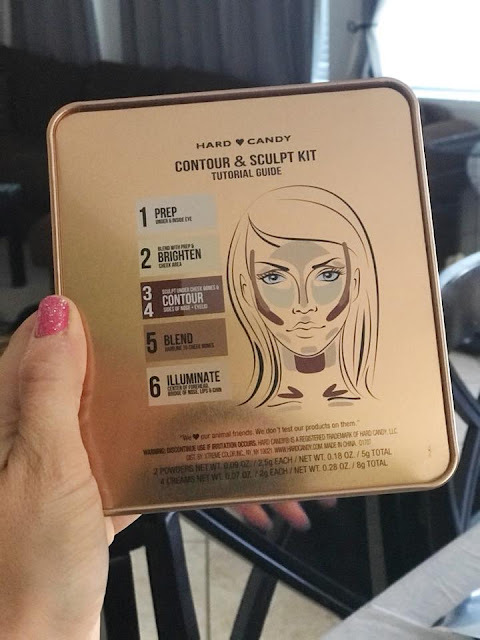 The "Contour & Sculpt Kit", which has an awesome tutorial on the back side of the makeup tin. 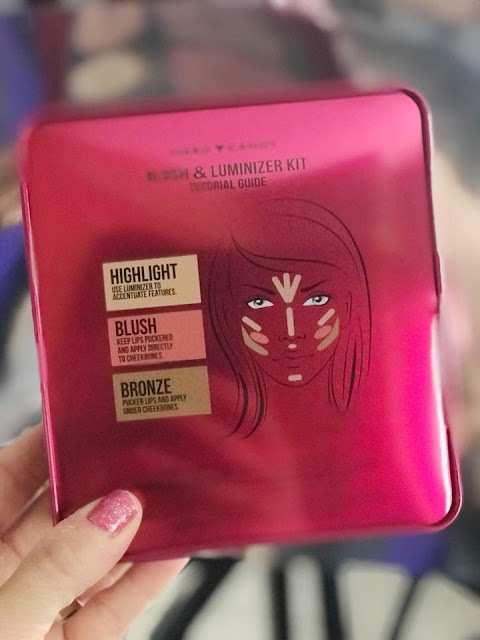 She proceeded with the "Blush and Luminizer Kit", to give her sister's face a little highlighting, bronzing and color. Then she used the "Smoky Eye Kit" to make her eyes pop a little extra. Finally, she finished off the look with the Glossing All The Way Lip Collection color of her choice. She chose a metallic mousse color, which looked amazing on her (and not to MUCH). The girls loved the smell of these lip glosses too. Plus, with a kit like this, they have a color to go with every outfit or look. 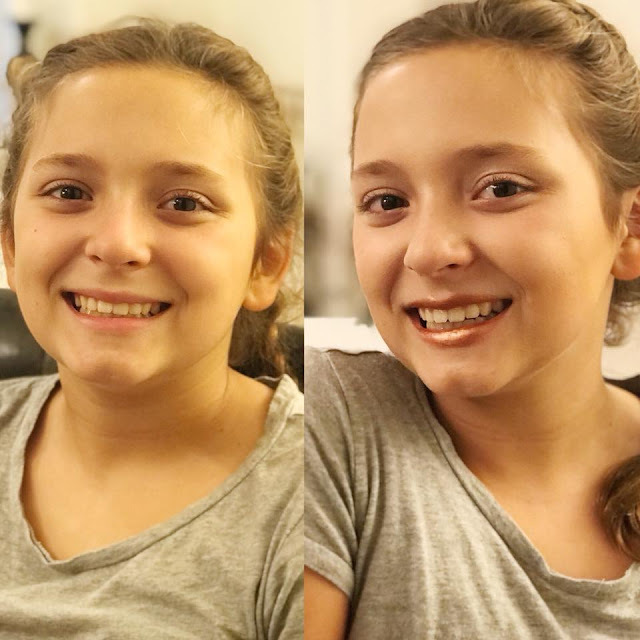 Her finished look was bright, beautiful and not to crazy for a TWEEN makeup look. It just brightened her face right up, even though she is already naturally beautiful! 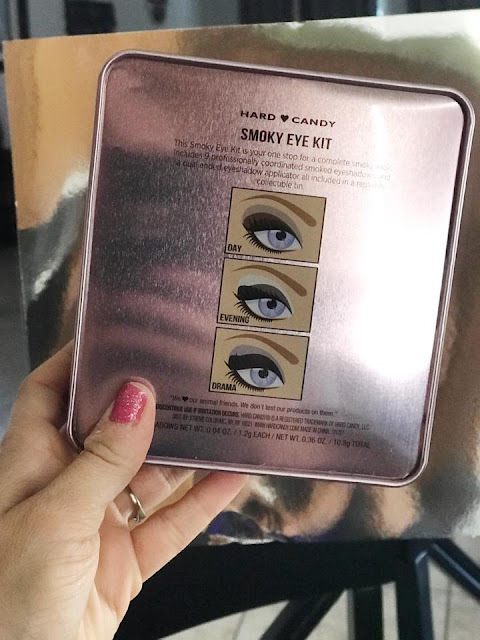 HAVE YOU USED HARD CANDY products before? CLICK HERE to head over and see their full range of products! You may be amazed with all the fabulous things they offer!